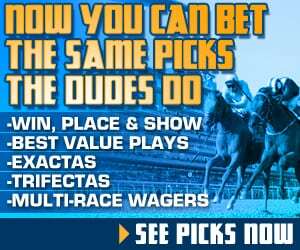 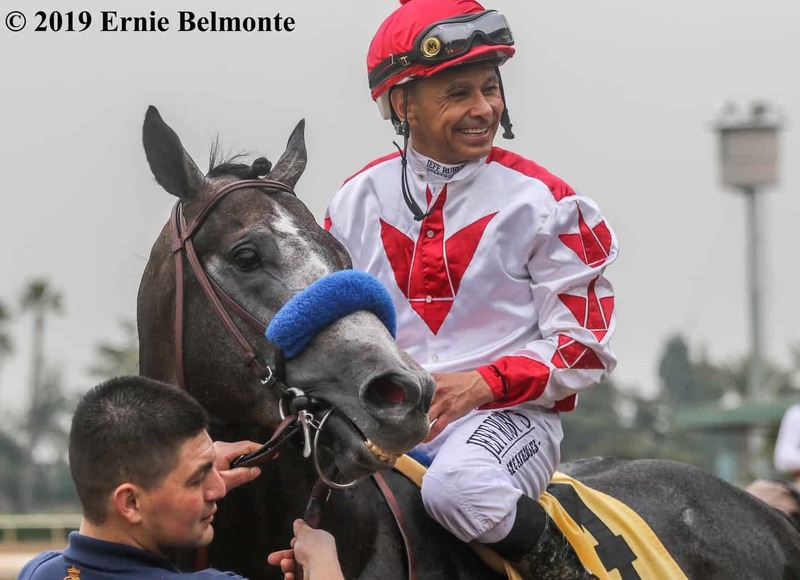 A triumvirate of 100-point prep races cast a new favorite at the conclusion of Kentucky Derby Future Wager Pool 4 when the Santa Anita Derby (G1) victor Roadster (6/1) usurped fellow Bob Baffert trainee Game Winner (7/1) for favoritism when Pool 4 closed on Sunday. 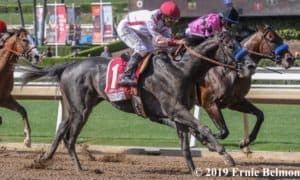 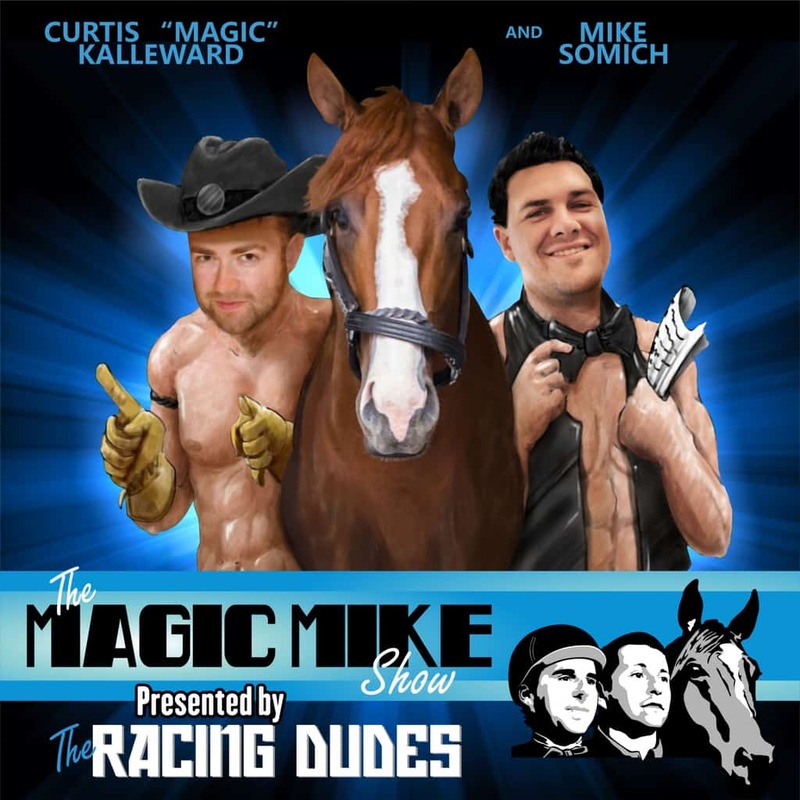 Though Game Winner had been the individual betting favorite at the conclusion of Pool 1, Pool 2, and Pool 3, his second straight runner-up effort put enough doubts in bettors’ minds that Roadster ultimately defeated him twice this past weekend. 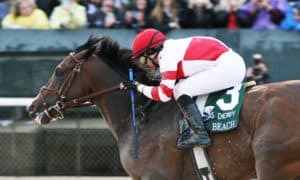 In fact, Roadster’s performance saw bettors make him the highest Kentucky Derby Future Wager Pool 4 favorite since 2004, when All Other 3-Year-Olds closed at 6/1. 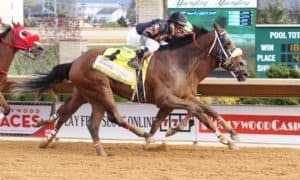 That year’s eventual Kentucky Derby winner, Smarty Jones, had closed as the 10/1 second choice. 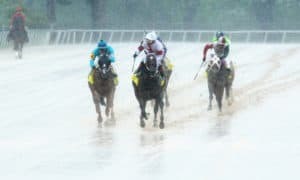 Further proving that this year’s Kentucky Derby field is a wide-open affair, four other horses closed Pool 4 with odds of 10/1 or less. 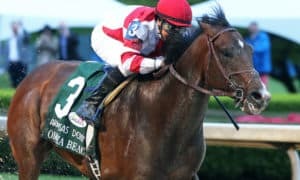 The Florida Derby (G1) champion Maximum Security closed at 7/1, while the Wood Memorial Stakes (G2) winner Tacitus was close behind at 8/1. 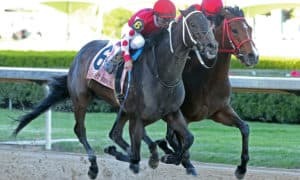 After competing virtually in Pool 4, Improbable (8/1) and Omaha Beach (10/1) will do battle for real in this weekend’s Arkansas Derby (G1). 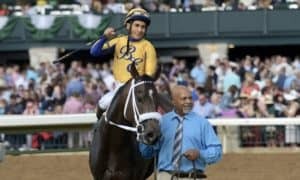 Even though he won the Blue Grass Stakes (G2) last weekend, bettors did not show much confidence in Vekoma (15/1) moving forward. 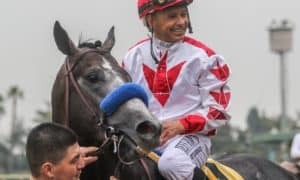 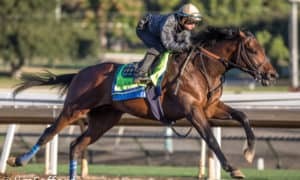 For more information and to see where the top contenders are likely to race next, be sure to check out our Derby Trail Tracker, updated daily.